Blend in blender mango pulp and sugar. 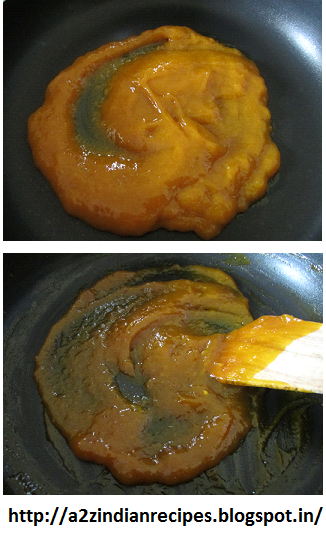 Pour this pulp into thick bottom pan, stir continuously after 5-6 min, water of mango will go away and it will become thick/condensed. Allow it to cool. Store in air tight container. You can keep this in refrigerator for 4-5 months. Use this for making amrakhand, mango icecream etc.